The Chicco Keyfit Caddy is a great frame stroller, does what a frame stroller should do, and does it well. The Caddy is lightweight, folds flat, self-stands, auto-locks, and rolls while folded. The Chicco Keyfit 30 car seat attaches easily and securely without false connections or any interference. It has a storage bin with a 10 lb weight limit, a parent console, and suspension on all four wheels. While it can't hold its own with the standard strollers for maneuverability or features, as a frame stroller it isn't expected to. This product earned a high score in this review and a Top Pick award for Best Frame Stroller because it gets the job done at an inexpensive price, without the features and frills that only add weight and muddy the waters of a simple no-nonsense car seat compatible stroller. Update 2018 The Chicco Keyfit Caddy is no longer being produced and has been replaced with the Chicco Shuttle. This similar frame stroller option has a slightly higher list price and works with both the Chicco Keyfit 30 and the Chicco Fit 2 with similar features. The Shuttle Frame Stroller (below left) has replaced the Chicco Keyfit Caddy (below right) as the new frame stroller for Chicco infant car seats. This frame stroller is compatible with the Chicco Keyfit 30 and the Chicco Fit2. It has a list price that is $20 more than the Caddy, larger single front wheels (which we prefer), dual cup holders, and a similar storage basket. The Chicco Keyfit Caddy works very well but only with the Chicco infant car seats it was designed for. Chicco (kee-ko), one of the largest baby-centric brands in Europe, is part of the Artsana Group, which is a lifestyle company that offers products that include baby feeding, baby gear, and medical supplies. Chicco was started by Enrico Catelli and creates baby gear for children starting before birth up to preschool age. Their products are sold in more than 120 countries. The chart below is a comparison of the overall scores for the car seat and stroller combos we tested for this review. It is easy to see how this frame stroller earned a Top Pick award. The following sections provide details on the Caddy's performance during testing. We used the results from each metric to calculate the overall score. The Caddy earned a score of 9 of 10 for ease of car seat attachment, along with the Bugaboo Bee3 Combo and the Chicco Keyfit 30 infant car seat. The Doona earned a 10 as the car seat is permanently attached to the stroller. The Caddy is compatible with the Keyfit infant car seats made by Chicco, which we tested with the Chicco Keyfit 30, an award-winning seat from our infant car seat review. The bottom of the Keyfit 30 infant car seat clicks onto the Chicco Keyfit Caddy frame in a similar fashion to the car seat base. This frame requires no removal of any parts, and there are no adapters needed, which saves money and complexity of the attachment or parts you need to manage. The attachment of the seat is easy and only requires resting the seat into the frame and pressing down gently to ensure connection. It isn't as easy as the Bugaboo options where the seat almost installs itself, but it is pretty darn easy, cannot be done wrong, and we never thought we had it connected when it wasn't. The Chicco Keyfit Caddy is a frame stroller that is lightweight and folds relatively flat for easier storage. This stroller also self-stands making it a triple threat for easy stroller transportation and storage. The Caddy earned a 9 of 10 for Weight and Folded Size, tying with the other frame stroller options in the group. Frame strollers are traditionally designed to be lightweight and easy to transport, and the Caddy is no exception. The Caddy weighs in at 11.7 lbs without the car seat attached. New moms who gave birth via C-Section, may be unable to lift more than 10-12 lbs making the Caddy a good option as you continue to heal and get your strength back (following doctor's orders of course). The lightest standard stroller is the UPPAbaby Cruz Combo at 15.3 lbs, which is good for a full-size option, but still several pounds heavier than the frame strollers. The Caddy measures at 7,628 cubic inches when folded, so it is relatively small and flat. It might even fit behind the seat in some cars without the trunk space. The smallest folded package in the group is surprisingly a standard stroller, the Britax B-Agile 3 Combo at 6,658 cubic inches, though it folds thicker than the Caddy. The plastic wheels and dual front wheel design on the Chicco Keyfit Caddy are not our favorite when it comes to maneuverability. This design and material type generally translates to hard to push strollers that make turning more difficult. One of the only metrics where the Caddy didn't perform well is maneuverability, with a score of 4 of 10. The lower maneuverability score isn't a big surprise seeing it is up against a jogging stroller (the BOB Revolution Flex Combo) that earned a 9 and a single front wheeled stroller with foam filled rubber tires that move well in tight spaces, the Baby Jogger City Mini GT Combo. The frame on this stroller flexes enough that it impacts the ability to push the stroller because the front wheels rise slightly off the ground. It is still nicer than the Baby Trend Snap-N-Go, but not by much. This product's design is primarily for flat and hard surfaces. It has trouble with grass and gravel, and you don't want to take it off road unless it is an absolute necessity. You may need to take it up and over a curb from time to time. The brakes on the frame caught on the toe of the curb and they lock on the way up or hit on the way down. You will have to drag the stroller up with the brakes set if they don't break off first. The wheels are foam filled plastic and have the dual front wheel design we don't like. The dual front wheels are harder to manage and often get hung up on items that cause the stroller to steer off in directions you don't intend. The wheels feel sturdy enough and spin without a lot of resistance, but plastic is plastic and can't compare next to rubber wheels found on some of the competition. The Caddy does offer all-wheel suspension which is a nice perk for a cheaper product like this one, but we aren't sure it is enough to make up for the smaller plastic wheels. The handlebar on the Caddy is adjustable on a pivot point placing taller parents closer to the back of the stroller where they are more likely to kick it while strolling. The handlebar is covered in a rough feeling rubber and is adjustable on a pivot point. The rubber will be difficult to clean, and it looks like it will gather gunk easily. The bar itself is flat and isn't the nicest to hold, but it will probably wear well over time thanks to the rubber cover. The Storage bin on the Caddy has a maximum capacity of 10 pounds, which is about average for the group. The Caddy earned a 5 of 10 for the metric, scoring higher than several of the standard strollers that offered more features. The high for the metric is 7 for the Chicco Bravo LE. The Caddy has some trouble with ease of use, primarily because by design it is missing some of the key components that encompass this metric, like a canopy for instance. Folding the Caddy begins with the pull of the lock release handle. The Caddy folds with one hand and two steps. The process is easy and only requires the removal of the car seat, which you can hold with your free hand. It self-stands, auto-locks, and has a carry strap that makes this product easy to transport, carry, and store in tight spaces. If that isn't enough to sway you, it also rolls when folded in a way similar to rolling luggage, and you do not need to bend to fold this stroller. Unfolding the Caddy is one hand and 1 step, all you need to do is press the release button and lift and shake until it clicks open. The Caddy has double action brakes that require the pressing of both sides to be fully engaged. The Caddy has double action brakes, which is not our favorite. This type requires the depression of two pedals instead of one to engage the brakes. We worry some parents will forget or skip the second pedal depending on the circumstances and this could result in potential injury or accidents. Despite the double action, the brakes are easy to set and about average to release. They are sandal foot friendly. The back bar on the Caddy storage bin folds down slightly to increase access to the bin. The Chicco Caddy has a large storage bin that held our extra-large diaper bag. There is access from the front and back, but no access from the sides. Because the car seat fits over the top of the storage bin, it is easier to put your items in before attaching the car seat and then only removing what you need from the basket a little at a time. Access is still better on this product than that of the Graco SnugRider Elite, a competing frame stroller. The maximum allowable weight for the bin is 10 lbs, which is average for the group and better than either Bugaboo, but nowhere near the same playing field as the 25-30 lb maximum found in the UPPAbaby options. The center covered storage on the parent console doesn't hold much of anything, including some common smartphones. The parent console will allow for three more pounds of supplies, but the shallow cup holders and the tiny tray will not hold much of anything anyway, possibly keys and your phone. We don't recommend parents use the cup holders for beverages as most of the items we tested fell out of the cup holders while strolling. There is no canopy on the Caddy, so you need to rely on the car seat canopy for protection from the elements. 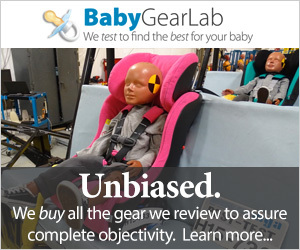 This would be true if you were carrying the car seat by the handle and is also true for several of the strollers we looked at that require the canopy and/or seat removal before using with a car seat. The Caddy earned a 6 of 10 for ease of setup and is about average and neither hard nor particularly difficult. It took 8:23 minutes to set it up during testing. The quality of the Caddy is less than impressive scoring below average in our tests. The Caddy earned a 3 of 10 for quality (the lowest in the group). The high for this metric is 8 shared by the UPPAbaby Vista Combo and the BOB Revolution Flex Combo, which both offer nicer materials and have great attention to detail. The Caddy doesn't have any fabric components save for the storage bin. The basket is made up of a combination of finely woven canvas for the lower parts and a mesh material for the top portion so you can see inside. The materials seem sturdy enough for the limited lifespan of this product, and we weren't able to snag either part during testing. The frame is metal with plastic components, and while the parts appear to be nice enough, there is a general flex and rickety feeling to the frame. Because there are plastic parts that don't come together well and the fabric on the basket has some loose threads, the overall fit and finish isn't impressive and looks relatively sloppy compared to most of the competition. Chicco makes several different types of strollers, and a few were reviewed here including the standard Chicco Bravo LE Combo, the umbrella option Chicco Liteway Plus Combo, and the Caddy frame stroller. The Caddy scored significantly higher than the other two options, but in all fairness the Bravo did earn 4 out of 5 stars in our full-size stroller review, making it one some parents might consider.